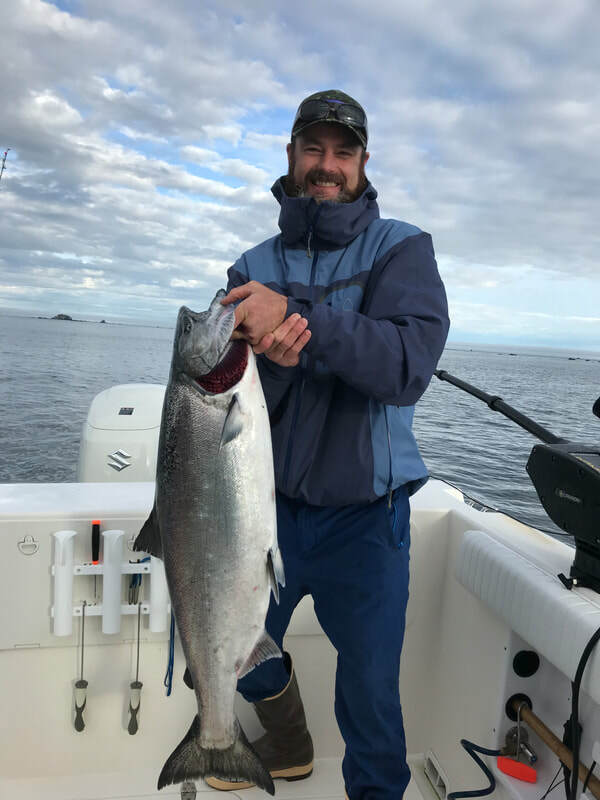 Whether you call it a King, Chinook, or Tyee, there's nothing quite like hooking into one of these pigs with fins! 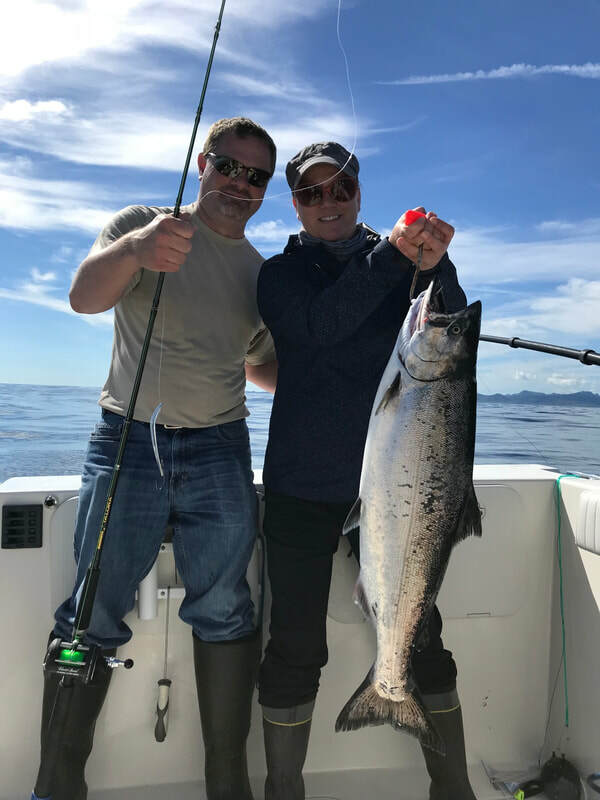 ​My passion for fishing was cemented many years ago with my first 'Chinook' with my Dad. I'll never forget the line peeling off the reel at a pace that could only be described as frantic! The screaming drag on the reel is an audible memory that cannot be forgotten. 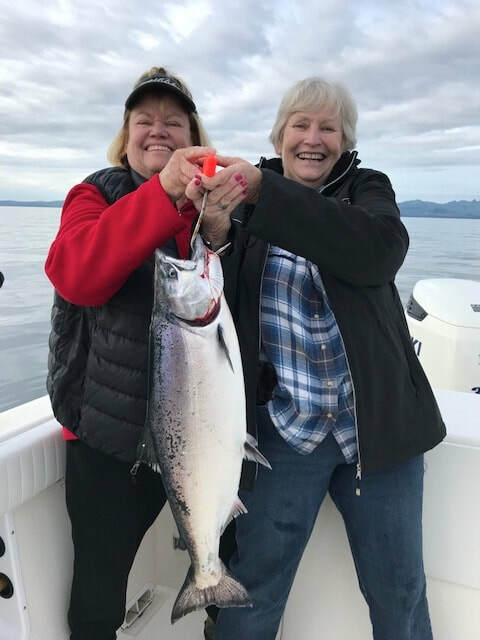 I especially enjoy this fish species; it is my favorite to catch and eat! 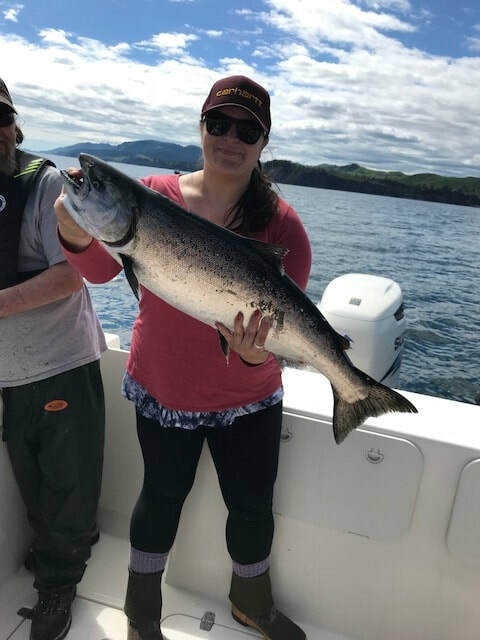 Of course there are 4 other species of salmon that frequent the waters around Kodiak. 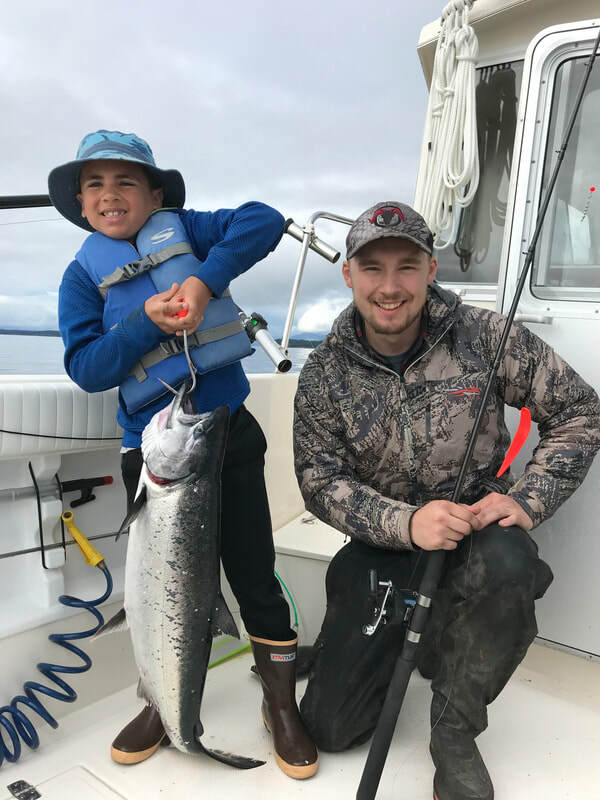 Silvers, Pinks, Chums, and Sockeye can all be caught the same day sometimes! 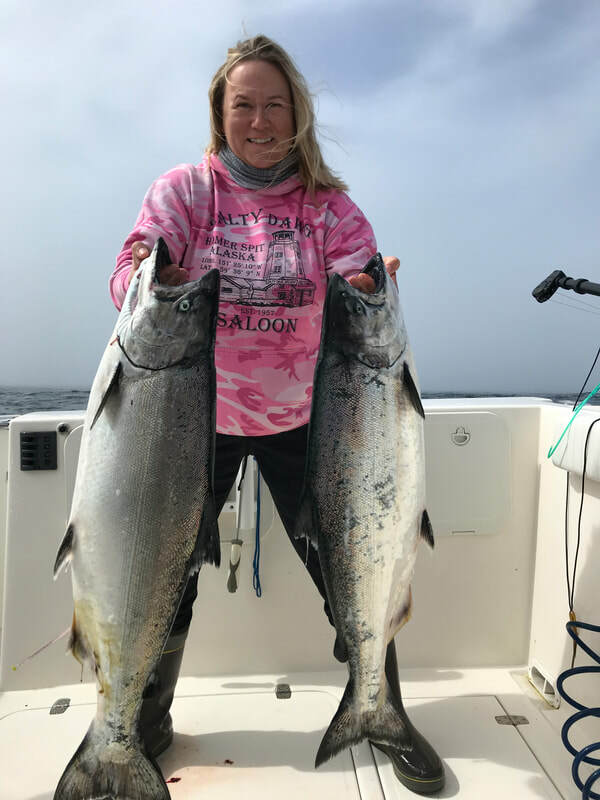 We tend to focus on Chinook and Silvers, the two most abundant and available species in salt water.